Mastering various assembly techniques expands your creative abilities. Learn the basics and you’ll be making your own designs in no time. 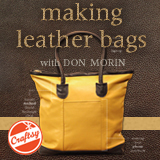 Handbag feet help to protect the bottom of the bag and adds a more professional look to the bag. To install handbag feet you must first create a handbag bottom. Use a piece of plastic canvas grid or poster board (Bristol board) to add to the stability of the bottom of the bag. Measure in about 3/4″ [2 cm] at each corner of the bottom of the bag and cut a small slit the size of the width of the prongs a sharp art knife. Insert the prongs of the hardware into the bottom of bag at each corner. Push the handbag prongs through the fabric and canvas/cardboard bottom for a secure fit. Slip on the washer and bend feet outward and down as shown using pliers. There should be no slack or give to the hardware. Repeat at all corners of the handbag until all the hardware is in place. Now you see it, now you don’t! An invisible zipper features no stitching and no zipper showing at all on the finished application— the opening simply looks like a seam, with the exception of the tiny colour-matched tab use to open the zipper. An invisible zipper is different from a standard zipper, but can be substituted for a regular zipper in all placket applications. To apply an invisible zipper, you will need a special sewing machine foot sold by the zipper manufacturer. 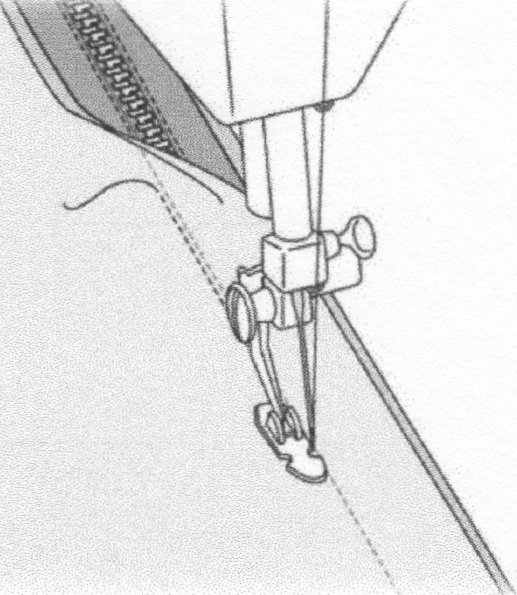 It is possible to apply the zipper using a conventional adjustable zipper foot, but the results may not be as successful. Most invisible zipper feet come with assorted shanks to adapt to various machine models. Also, check with your machine dealer for a brand-specific presser foot. The foot has deep-angled grooves on the underside that ride over the zipper teeth and help hold them upright during the stitching process for close-to-the-coil sewing. This is the secret to a successful application. An invisible zipper coil is rolled and most manufacturers recommend lightly pressing the coil to unroll it for easier application. 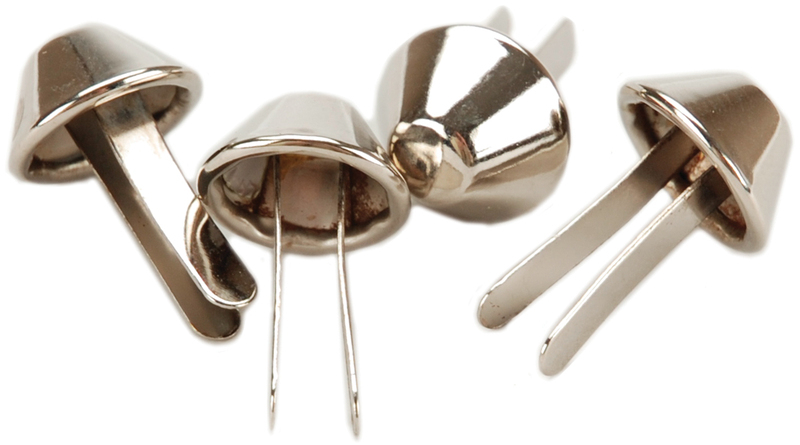 Since coils are synthetic, watch the iron temperature to avoid melting. 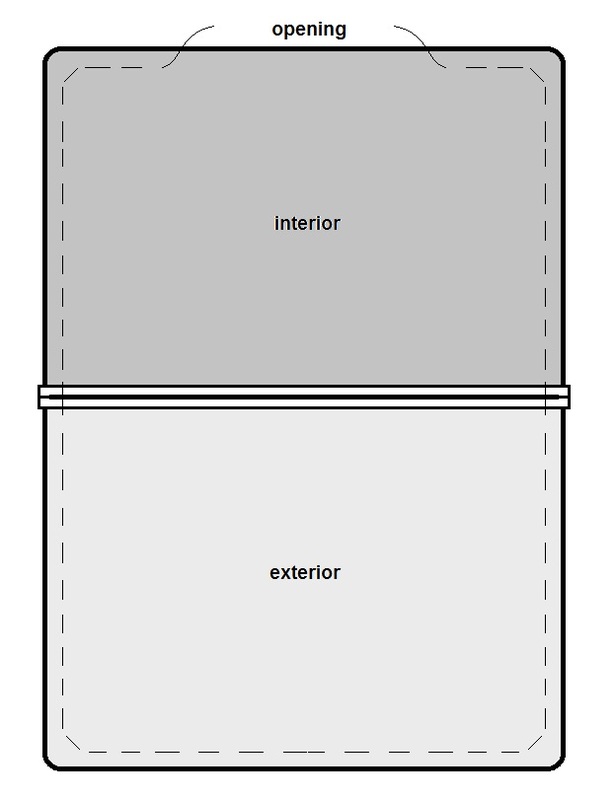 Unlike conventional zippers, an invisible zipper is applied open and with the entire seam open (un-sewn) where it will go. Both the remainder of the seam and the zipper are closed once the application is complete. If the seam allowances require a finish of any type, do that before applying the invisible zipper. Options include pinking, serging or binding. Pin the open zipper face down on the right side of the fabric with the coil along the seamline and the zipper tape toward the seam edge. The stopper end of the zipper coil should be below any seam allowance on the fabric’s upper edge to allow for finishing after the zipper is applied. Place the right groove of the presser foot over the unrolled coil and stitch from the top down to the zipper slider; backstitch to anchor (fig.1). Pin the opposite side of the zipper to the remaining fabric section with the coil along the seamline, and being careful not to twist the zipper. Match the fabric’s upper edges and/or any crosswise patterning. 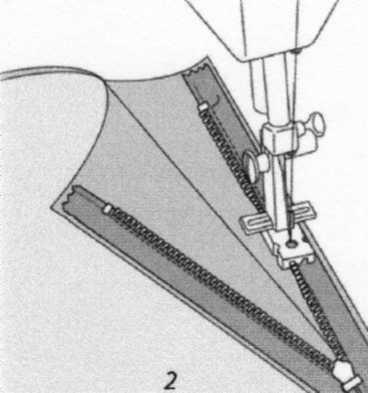 Fit the left groove of the foot over the coil and stitch the zipper in place as for the previous side (fig.2). Use the needle position adjustments on your sewing machine to place the needle as close to the zipper coil as possible, but ensure the stitching will not catch the coil. If the coil is caught during the stitching process, the zipper will not work and restitching will be required. To use a conventional zipper foot to apply an invisible zipper, position the needle to the side of the foot and manually unroll the coil as you stitch as close as possible to the zipper teeth following the directions above. 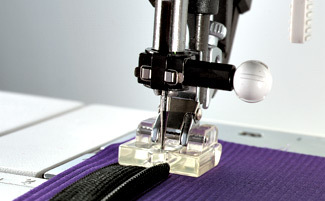 Some machines have buttonhole feet with grooves, similar to the invisible zipper foot, which can also be used for installation. Once both sides of the zipper have been stitched, change to a conventional adjustable zipper foot to finish stitching the seam. Position the needle to the right side of the foot. Close the zipper and pin the seam together below the zipper. 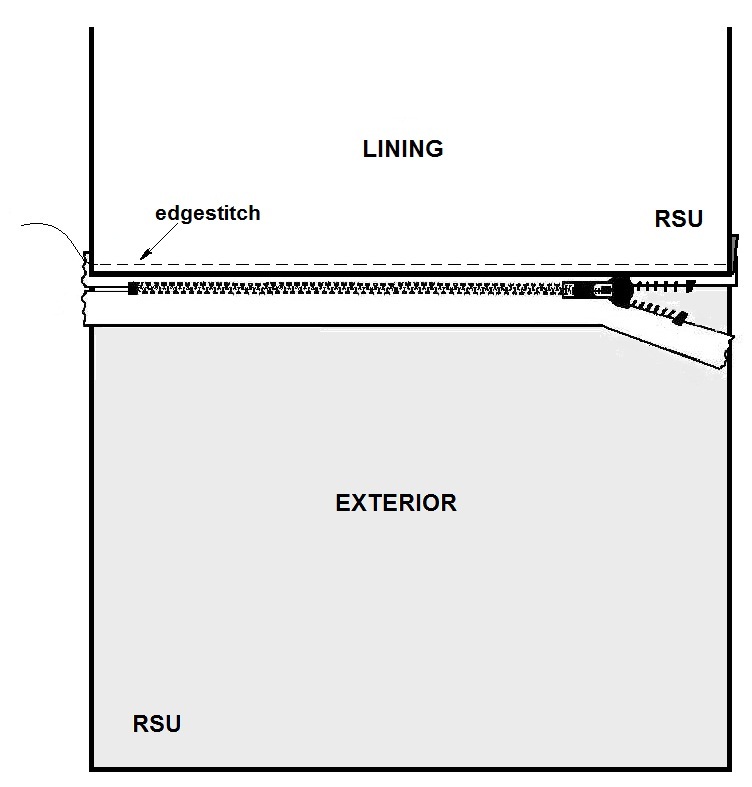 Carefully lower the needle into the fabric at the end of the previous stitching line, slightly above and to the left of it (fig.3). Stitch the remaining seam closed. Stitch the free ends of the lower zipper tape only to the seam allowances to hold it in place. Finish the upper edge of the zipper opening according to the assembly instructions, applying a facing, banding, binding, etc. The simple lined zippered bag technique can be made quick and easily, and fits into a square or rectangle, of which the size depends on the length of the zipper used. 1. Cut 4 squares or rectangles of cloth (2 fashion fabric/2 lining fabric) equal to the length of the zipper tape and whatever finished depth you desire. 2. Attach the zipper. Place one of the lining pieces FACE UP, then the zipper and then the fashion fabric FACE SIDE DOWN. Line up the three layers and pin/baste together. Using a zipper foot, sew across the top along the edge of your zipper sandwich and the zipper teeth. 3. Repeat above step for the other edge of the zipper tape. Edgestitch the lining sections along the zipper tape. 4. Layer both pieces of lining to one side and both pieces of the fashion fabric to the other side of the zipper, with FACE SIDES together. Open the zipper at least halfway so that the bag can be turned right-side-out once the seams are stitched. The zipper teeth should be pinned toward the lining side. Lay the zipper ends on top of each other with teeth facing the lining side and pin. 5. Sew all the way around the perimeter edge. Ensure you sew on the outside of the metal parts on each end of the zipper, this will be easy to do if you cut your fabric the total length of the zipper tape. Leave an opening at the bottom of the lining side. Round the bottom corners. Press seams open. 6. Turn bag right-side-out. Stitch opening on lining closed by machine or slipstitch by hand. You can add a zipper pocket to any bag design, and position it on the outside of the bag exterior or on the inside of the bag in the lining. Or both if you want lots of pockets and storage. The exposed zipper can really add a nice pop of colour and an interesting design feature to any bag. 1 Fuse interfacing to the wrong side of the pocket pieces, following manufacturer’s directions. 2 Mark the placement of the zipper. Place one pocket piece with the interfacing side up on a ﬂat surface. Place the zipper on the interfacing, about 1 inch (2.5 cm) from the top edge, centring it from side to side. Make a mark on the fabric at each end of the zipper teeth. Mark a rectangle that is length of the marked zipper teeth by 3/8-inch (10 mm). 3 Pin the pocket piece on the bag lining with right sides together. Pocket should be placed according to pattern placement lines. Stitch an outline around all edges of the marked rectangle.